Happy St. Patty’s day everyone! If you’re Irish, or you just like day-drinking and possibly acting like an idiot, well I wish you a fun, happy, and safe time. I am Irish…or rather my adoptive parents are, so I’m like honorary or something. Despite my borrowed heritage, I’ve never been much for the shenanigans of the day. I top out at two glasses of wine, don’t love crowded bars, am anti-parade, and think the whole trend of dying foods a rich shade of Kelly green that aren’t otherwise naturally inclined towards that color is weird. I know, Debbie Downer right? But I’m secure in my desire to go to bed at a reasonable hour, do the Sunday crossword, and not eat green bagels. Of course there are other traditional St. Patrick themed foods that I find quite appealing. Irish soda bread is delicious warm, slathered with salted butter, and if presented with one I wouldn’t hesitate to chow down on a plate of corned beef and cabbage. And if I were a better planner, then maybe one of those delicious and holiday appropriate treats would be the topic of today’s post…but I am who I am, and today my green is in the form of carrots (?) with broccoli rabe pesto (there it is). So while not the most traditional Irish dish out there (I mean it really veers more towards Italy, or possibly China) it is damn* delicious and I think a nice change from green beer and jello shots, eh? *I’m not usually one to use off-color language in blog posts, but given the raucous nature of the day I find it suitable. So damn. damn damn damn! 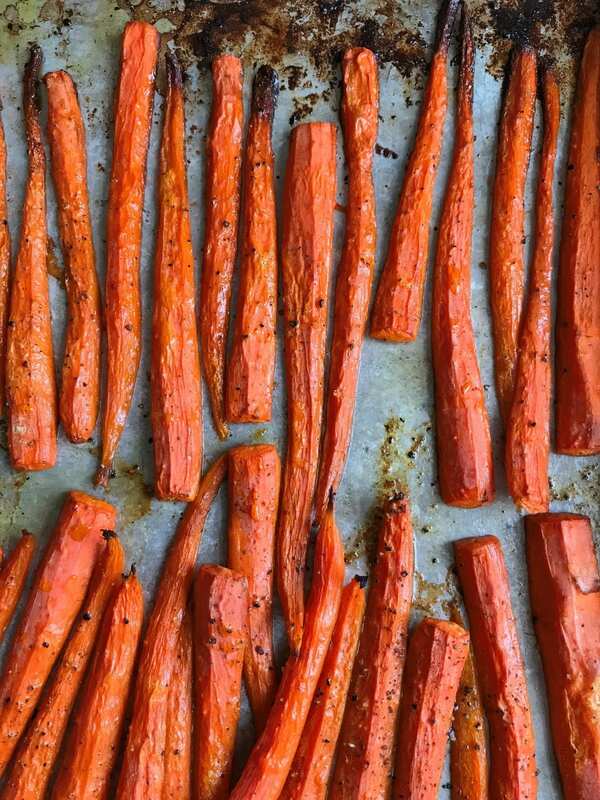 This method of starting the carrots covered with a little water essentially steams them, making them beautifully tender on the inside. Then you rip off the foil in a brazen flourish (but safely because it’s hot you know) and return them to the heat of the oven where the water will evaporate and the butter will sizzle and brown and OMIGOD GO MAKE THESE NOW! 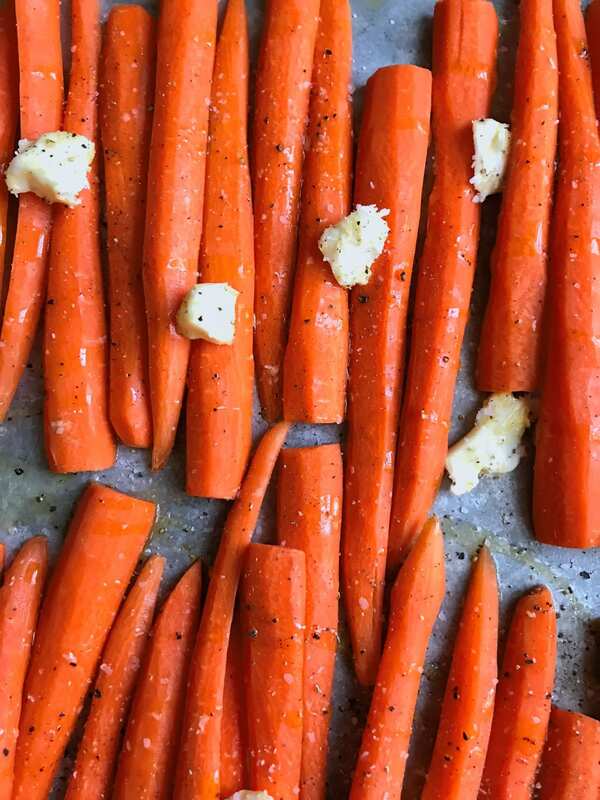 Cut carrots lengthwise, unless they are very small, in which case you can leave them whole. 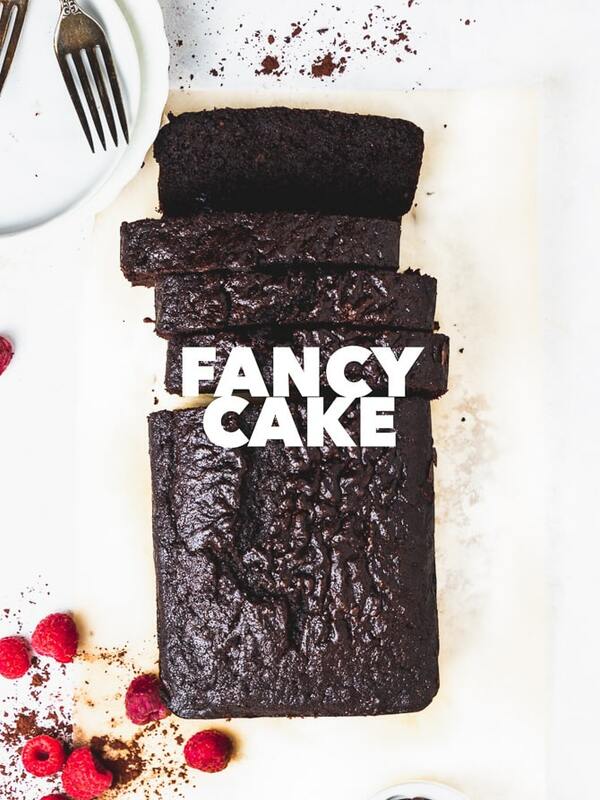 Lay cut side down on a rimmed baking sheet in one layer. Drizzle with olive oil, dot with butter, and season with salt and pepper. Add water and cover tightly with aluminum foil. Cook for 20 minutes. Then remove foil and return to oven for 40 more minutes. Broccoli rabe is one of those vegetables that I find too bitter to enjoy on its own. But give it the pesto treatment (ie: buzz it up with some nuts, cheese, and olive oil) and I’d eat it on almost anything. 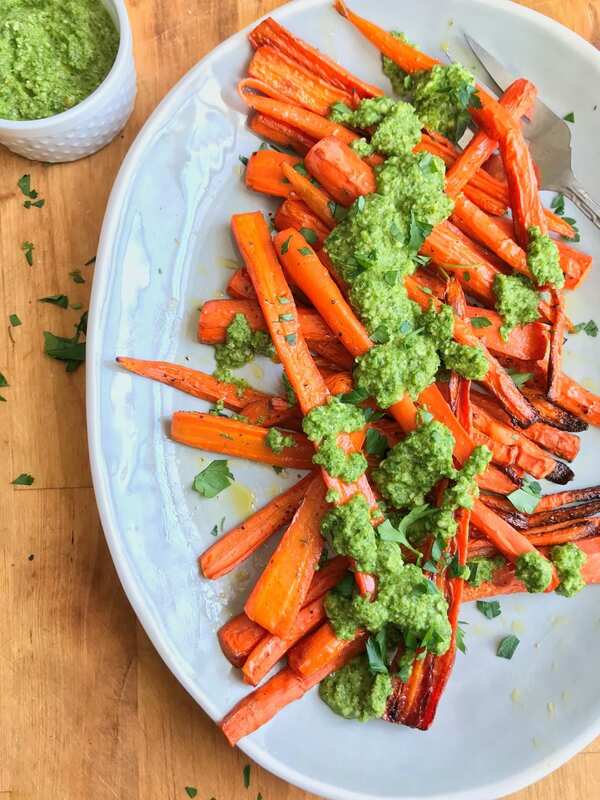 This is particularly good with roasted carrots, as the sweet depth of the carrots plays well with the slightly bitter, zingy quality of the pesto. It’s the besto – yes I just did that. Blanch broccoli rabe in heavily salted, boiling water for 2 minutes. Transfer to a bowl with cold water and ice and shock to stop the cooking. Wrap broccoli rabe in a clean kitchen towel and squeeze to wring out as must water as possible (or just use your hands if you’re impatient and fancy yourself the incredible hulk, as I do). Transfer to the bowl of a food processor or a blender. Add almonds, garlic, chili flakes, salt, vinegar, pecorino romano, and honey. Pulse to combine, until the mixture is finely chopped. With the machine running stream in the olive oil. Repeat this with the water, adding just enough to reach your desired consistency. It should be very spreadable, but not quite pourable.